In this fast paced era of telecommunications and media messages, it is easy to fall sway to the subliminal patterning of mass minded marketing dynamics. With so much bombardment from external stimuli, it is important to distinguish the illusory from reality. Only an awareness and acceptance of the present moment can combat the illusory values of materialism, competition, and commercialism. While the ubiquity of foreign values may seem overwhelming, tools exist to penetrate the illusions of the technology age. 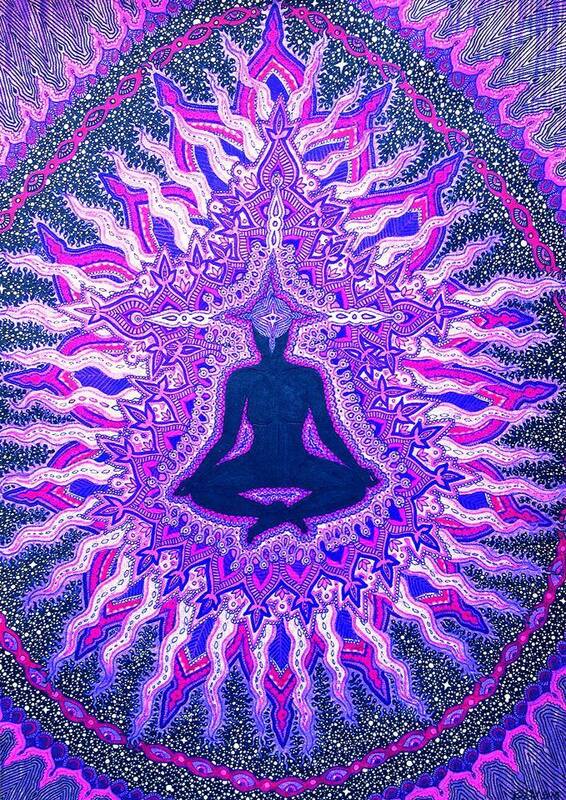 One such tool is amethyst crystal, whose properties are related to the third eye chakra and penetrating illusions. 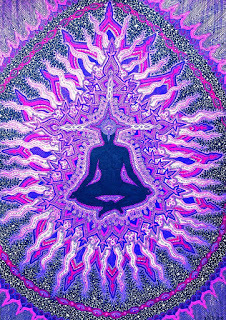 The third eye chakra is located between the eyes and corresponds anatomically with the pineal gland located deep in the center of the forebrain. This gland produces melatonin, a sleep hormone, and maintains daily hormonal rhythms. It is said when this chakra is balanced, the third eye opens and the individual is able to perceive the true nature of reality. Naturally, amethyst finds association with wisdom, intuition, and healing. The soft to deep purple hues of this crystal are soothing and help ease tension. This is a crystal often paired with meditative practice as it helps ease individuals into a deeper state of awareness. Amethyst helps to soothe the mind and emotions while keeping consciousness stimulated. The strength this stone lends allows mediators to turn towards traumatic or unresolved issues with a sense of support and purpose. Tensions from the overworked body, mind, and emotions will be eased while restorative vibrations take their place. 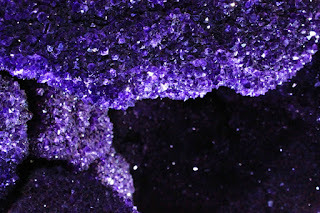 Often, amethyst is kept under a sleeping pillow or bed mattress in order to keep this crystal close while dreaming. Amethyst acts as a stone of psychic protection, allowing us to rest while holding at bay the negative encroachment of nightmares and uncanny dreams. This crystal has been used as a sleep aid since the time of the ancient Greeks. It is said resting amethyst on the third eye relieves insomnia. 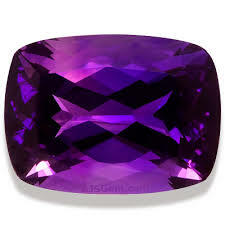 Amethyst also has a powerful effect on the physical body. 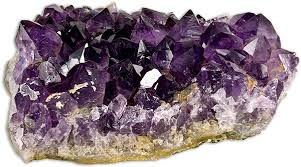 Associated with the pineal gland, amethyst has been known to boost the production of hormones and stimulate the sympathetic nervous system and endocrine glands. It supports oxygenation in the blood, aids in treatments of the digestive tract, and strengthens the immune system. Amethyst is an easy, go-to good-for-all kind of crystal. 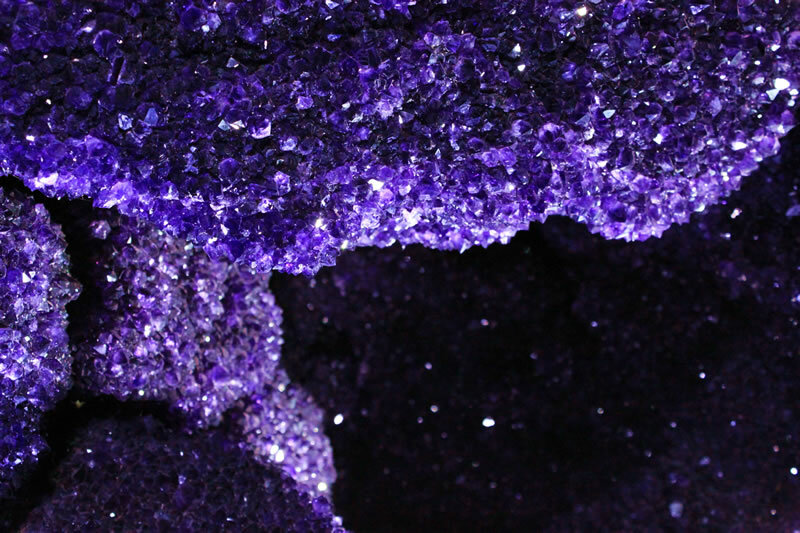 Stop by The Om Shoppe & Spa and check out our variety of amethyst crystals. Our selection of tumbled stones, points, and clusters will suit all of your psychic awakening needs. In addition, our Seeds of Light earring and pendant pieces include amethyst for on-the-go easy-access psychic protection!